We like to give you an extra gift as our guest. 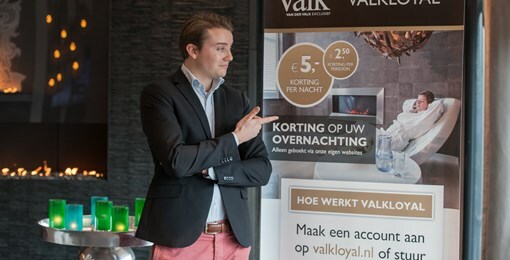 The Valk Loyal program offers you a discount on the next bookings you make after you have stayed at Valk Exclusief hotel. You will only receive the discount if you have booked via a Valk Exclusief website and not via a third-party website. We are happy to be loyal to you, our guest. With the Valk Loyal program we offer you as a regular hotel guest even more advantages, guarantees and extra service. Are you going to reserve?Always log in with your Valk Exclusive Account. You can enjoy the Valk Loyal benefits both during and after your stay. Read more below. * You will not receive this discount on promotional rates including last minutes, packages, non-refundables, offers, corporate rates and rates from other websites. *** Based on availability and not valid on suite bookings and promotional rates such as offers, last-minutes, non-refundables, packages and corporate rates. €5 discount night in a room or suite. €2.50 discount person on an arrangement or last minutes. You will never pay any reservation costs. See your reservation in your Valk Account. Make use of Easy Check-in. Free welcome drink on arrival at the hotel. Lazy Sunday check-out (until 5 p.m. on Sunday). Get your next credit after check-out. 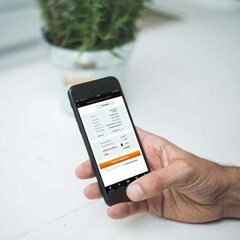 Valk Bonus promotion credit can only be redeemed at a Valk Exclusive hotel online (not via the iPhone or Android app). During the reservation you are logged in with your Valk Exclusive Account and you can redeem the Valk Bonus credit before you finalize the reservation. 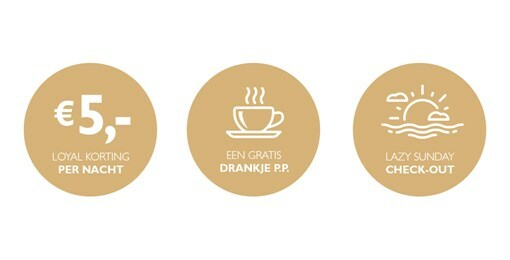 With a Valk Exclusief Account you make immediate use of the Valk Loyal benefits! Do not wait any longer and sign up. You will always be the first to benefit from the best deals that Valk Exclusive hotels have to offer.